Sunday Night at the Student Center happens all year long, but another amazing year of Journey Groups is coming to a close! 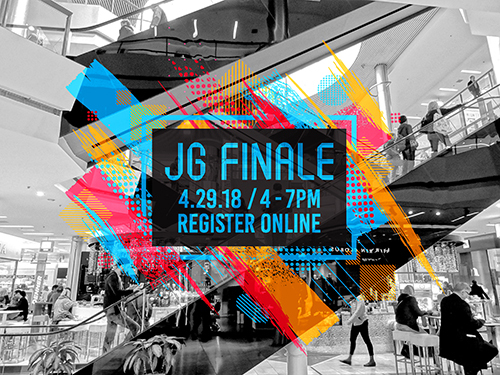 Join us on April 29 for the High School Ministry Journey Group Finale at Westroads Mall for a scavenger hunt throughout the mall, extra team challenges, and dinner in Flagship Commons. Members of the winning journey group will receive prizes to both Flagship Commons and Raising Cane’s, while 2nd place takes home prizes from Raising Cane’s! Let’s celebrate another great year, hearing amazing stories from your journey groups, thank our dynamite leaders, share a meal together, and so much more! • This event is FREE to attend, but please bring money to purchase your own dinner at Flagship Commons. • Registration, with parental permission, is required and closes at 12 PM on April 29. • Check-in (4 PM) and pick-up (7 PM) will take place at Flagship Commons on northeast side of the mall. Questions? Call the Student Ministry office at 402.938.1530.